Charles Fleisher the “Opportunity Guy” was permanently injured in an automobile accident at age 18. Through his speeches and workshops, he teaches how to use challenges to get the most out of your life, career or business. 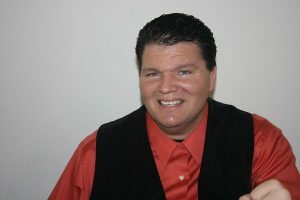 His current mission is to use his background and experience to inspire individuals and audiences to leverage their difficulties instead of aborting them. Written by experienced clinicians and attorneys. 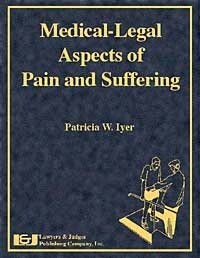 This book is for you as a legal nurse consultant who is analyzing the impact of injuries on a patient. When I created the content, I picked the most common aspects of damages that occur in personal injury or medical malpractice cases. I recruited a unique blend of authors to contribute solid material covering a range of concerns on this hot topic. I included nurses, physicians and also attorneys. This book is loaded with practical information, medical illustrations, figures and tables, pain assessment forms, samples and questions for direct examination of witnesses. By combining the clinical information in the first two sections with the legal strategies in the last section, this book becomes a must read for any legal nurse consultant involved in litigating medical, nursing, or nursing home negligence cases. Get your copy by using this link: http://LNC.tips/painandsuffering and we’ll ship this book to you. Charles Fleisher’s current mission is to use his background and experience to inspire individuals and audiences to leverage their difficulties instead of aborting them. The Secret of Difficulties: 4 Steps to Turn Tragedies into Opportunities, by Charles Fleisher is available on Amazon. Anybody can learn from it because it’s got some really good examples of how to take your own challenging situations and turn them into opportunities for yourselves and for others.